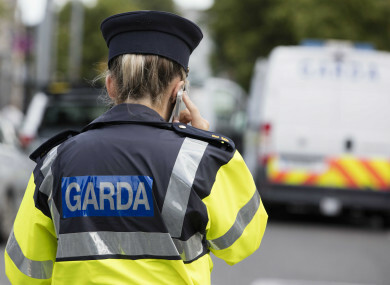 GARDAÍ HAVE LAUNCHED an investigation into an assault and false imprisonment that occurred at Kilbricken, Mountrath, Co Laois. The incident occurred at around 5am on Tuesday. The victim was a member of the security personnel employed at the Irish Rail compound in the area. The assault occurred when the victim arrived for work and was approached by a number of men. They assaulted him and locked him into his car boot before they escaped. The compound is in a rural area and the assailants left the area in a vehicle with an unknown make and model. Speaking on Drivetime this afternoon, Irish Rail spokesperson Barry Kenny said that the man had been locked in the boot of his car for nine hours and was still “very, very shaken”. The man also suffered a blow to the head, in what Kenny said was a “very distressing incident”. Gardaí believe that there were at least three male assailants, but Kenny said that there were five or six. He also added that a number of items had been taken from the premises, and as a result Irish Rail had stepped up security at that location and a number of other stations. Anyone who may have witnessed unusual activity in the vicinity are asked to contact Portlaoise Garda Station on 057 8674100, or the Garda Confidential Line on 1800 666 111, or any Garda station. Email “Gardaí investigate assault of Irish Rail worker who was locked in car boot for 9 hours”. Feedback on “Gardaí investigate assault of Irish Rail worker who was locked in car boot for 9 hours”.